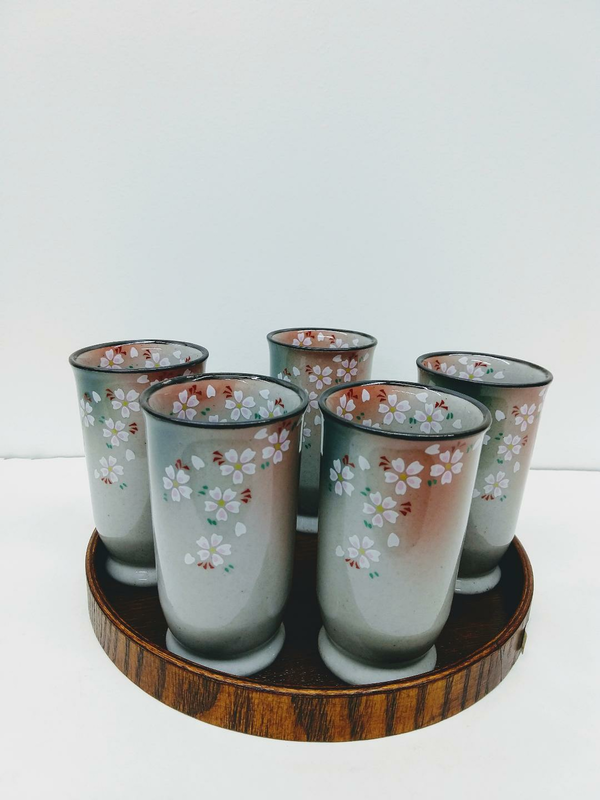 Set of 5 attractive blush pink and green cups painted with delicate cherry blossoms. 4" height and 2 1/2" opening diameter. Lovely to use to serve any beverage. Wood tray sold separately, $21.50.